Eight of our innovative Low Calorie Gas Flares in various construction stages from our UK production facility. Our LC range of flares have been specifically developed to address the need to safely dispose of low flows of landfill gas or flows of gas with low methane content, such as are increasingly found on aged landfill sites. Simple and reliable to install, connect and commission, our Low Cal Flares can be up and running on your site within a matter of hours. Call Landfill Systems on 01449744475 or fill in the ‘contact us’ form for more information on our Low Calorific Gas Flare range. 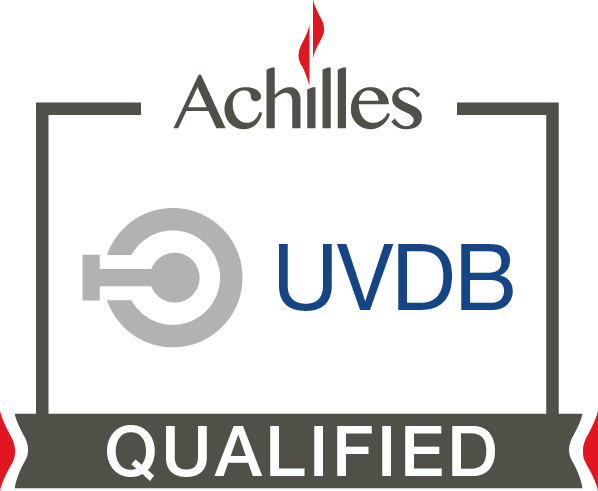 We are proud to announce that we’re now an approved, registered Achilles UVDB supplier (Utilities Vendor Database) to the British utilities industry. Following a rigorous accreditation process Landfill Systems has achieved Achilles UVDB certification in the UK. This means we are able to supply consumer products and services in the competitive British market to those customers using the Achilles service. 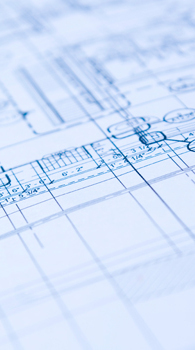 Achilles UVDB is the community used by over 1,000 buyers from over 40 UK Utilities companies. It allows buyers to maintain a pre-qualified supply chain and also validates that insurance cover, financial standing and standards for quality management are all maintained. 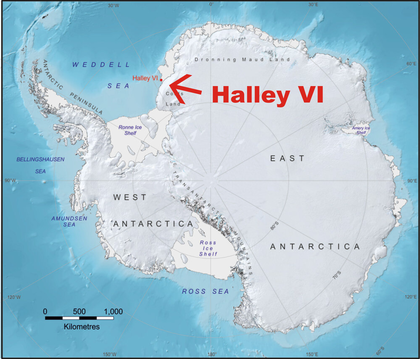 Halley VI is one of the most remote scientific research centres in the world. Famously, it played a critical role in the research that identified the ozone ‘hole’ in 1985. 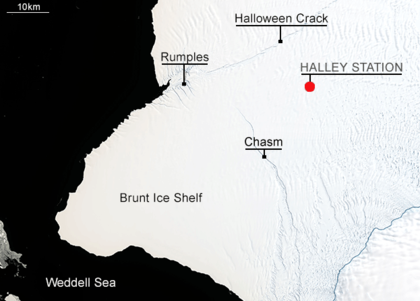 The British Antarctic Survey (BAS) has closed its Halley base for another winter, leaving 80% of the experiments normally conducted through the polar night to operate automatically. 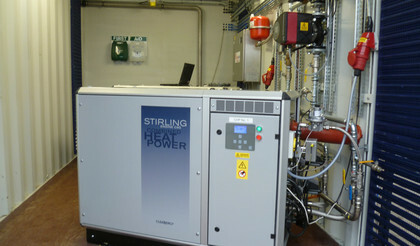 In order to provide the power for this, BAS have installed a microturbine power generator package, supplied by NewEnCo. 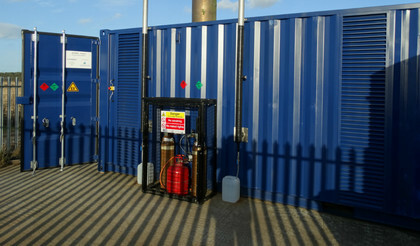 Landfill Systems designed and built the ISO container based package. The BAS microturbine uses aviation fuel but micro-turbines can also be operated on natural gas, digester and landfill gasses. 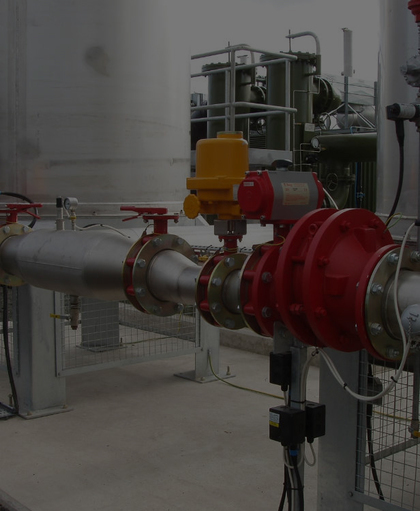 A microturbine installed alongside our Low Calorie Gas Flare provides a complete micro-generation and flaring package, meeting Environment Agency ‘best practice’ for emissions and power generation. A flow of only 40m3/hr of landfill gas can be used to produce c.60kW of electricity for export to the National Grid. Landfill Systems are pleased to announce that we have maintained our ISO9001 and ISO14001 accreditation for the fifth year! These accreditation's underline Landfill Systems' commitment to our clients and our focus on quality. The accreditation's also provide assurance to customers that we have considered the environmental impacts of our services, that we have implemented effective controls and preventative measures to help eliminate these impacts across all areas of our operations..
...batch of low calorie flares leave our UK production facility. We are proud to announce that after our recent successful health and safety audit we have been awarded accreditation for the Contractors Health & Safety Assessment Scheme (CHAS) for the 7th year! 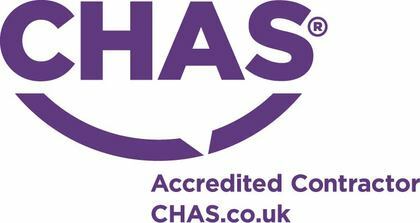 Being a CHAS accredited contractor means that we have achieved nationally recognised benchmarks of acceptable health & safety standards. CHAS is a Government sponsored third party examination of our own Health and Safety procedures. This involves an independent body examining how we prepare our working method statements and risk assessments and that we have procedures in place to ensure the safety of our workforce and the general public. It is more important than ever to know that your services and products are being supported by reputable trained and responsible persons. 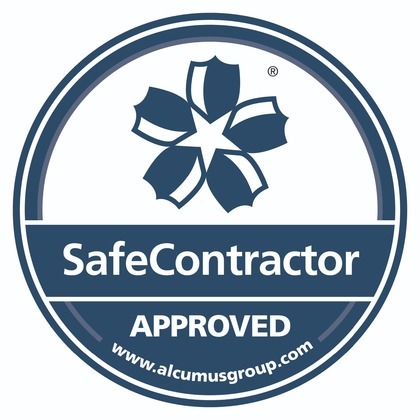 Landfill Systems has been awarded accreditation from Alcumus SafeContractor for achieving excellence in health and safety in the workplace. The company has had recognition for extremely rigorous standards in health and safety management and this, going forward, will enhance the company's ability to win new contracts and its commitment to safety can be viewed positively by all those concerned. "Under the SafeContractor scheme, businesses undergo a vetting process which examines health and safety procedures and their track record for safe practice. Those companies meeting the high standard are included on a database, which is accessible to registered users"
December 2017 - Engine containerisation needs? The first of a number of engine containerisation packages leaves our workshops today. The Scania engine will use landfill gas to produce electrical power for direct export to the National Grid. The design includes structural reinforcing of a standard ISO container which has also been lined with sound absorbing material. Fire and gas detection systems have also been installed. 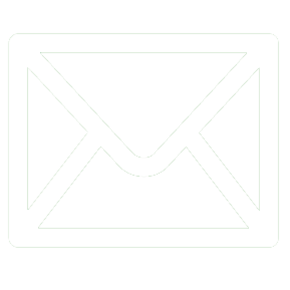 Call Landfill Systems on 01449744475 or fill in the ‘contact us’ form for more information on how we can meet your engine packaging needs. November 2017 – Landfill Systems...in Antarctica! A special one-off containerisation of a microturbine power generation package has just been completed at the Landfill Systems workshop! The system is designed to operate at temperatures as low as minus 50 C using a novel approach to air inlet heating. 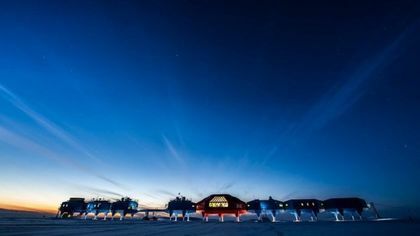 The package is to be deployed in the Antarctic to provide over-winter power for a research facility. 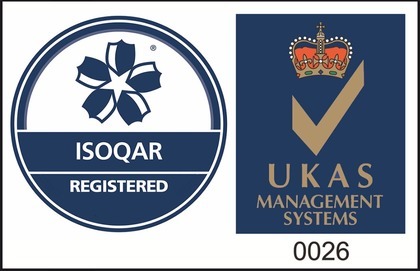 Landfill Systems are pleased to announce that we have maintained our ISO9001 and ISO14001 accreditation for the fourth year! The ISO9001 standard is a quality management system that supports the company in ensuring that customer needs are met whilst delivering a consistent level of quality and customer satisfaction. The ISO14001 standard recognises our environmental management processes across all our activities and demonstrates that we continually think about the way we operate to find more efficient and effective ways of servicing our clients as well as the impact that our business has on the planet. These accreditation's underline Landfill Systems' commitment to our clients and our focus on quality. The accreditation's also provide assurance to customers that we have considered the environmental impacts of our services, that we have implemented effective controls and preventative measures to help eliminate these impacts across all areas of our operations. As a growing and succesful company, Landfill Systems are pleased to welcome 3 new team members, Luke Mitchell, Reece Compton, and Tom Brown to our expanding workforce. Our success is a result of the talent of our people, the wisdom of our strategy and the strength of our team. February 2017 - Landfill Systems are celebrating their 20th Anniversary! 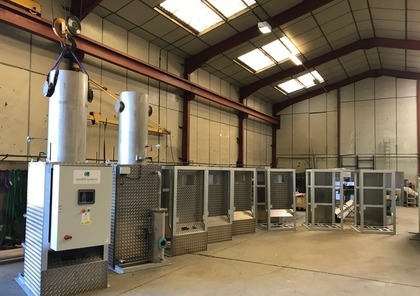 For 2 decades now Landfill Systems has been manufacturing bespoke landfill and biogas gas flares and continues to install plant throughout the UK and worldwide. 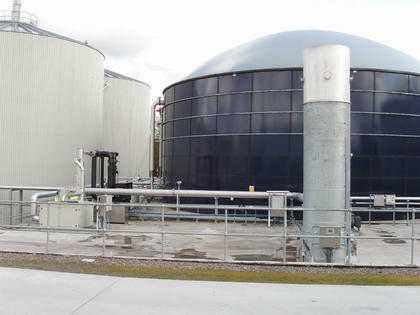 The company continues to provide electrical & mechanical services to the waste, environmental, renewable energy and anaerobic digestion industries. 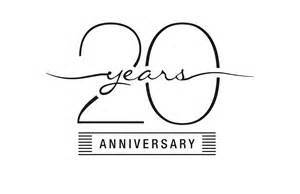 It is something we are very proud of and would like to take this opportunity to thank customers old and new for their business over the last 20 years. Nick Palmer, MD commented "Looking ahead, our journey is just beginning. With a number of exciting projects ahead the company will continue to expand on its wide range of services and products, in the UK and overseas." 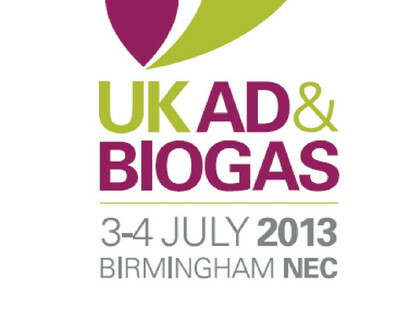 For the third consecutive year Landfill Systems will be attending the AD & Biogas exhibition. This is the Anaerobic Digestion and Biogas Association’s (ADBA) fifth annual trade show and an excellent opportunity to demonstrate all Landfill Systems has to offer to the anaerobic digestion and biogas community. This year Cleanergy, manufacturers of the C9G, will also be attending to assist with our promotion of this product and together will be unveiling a full-scale model of the C9G Stirling Engine for the first time! Visit us on stand H029 on the 2-3rd July at the Birmingham NEC or fill in the ‘contact us’ form for more information. 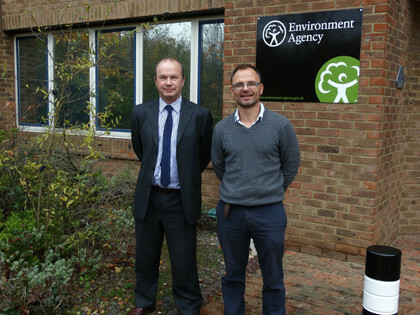 Landfill Systems are pleased to announce our success in tendering for the first ‘ACUMEN’ project installation. 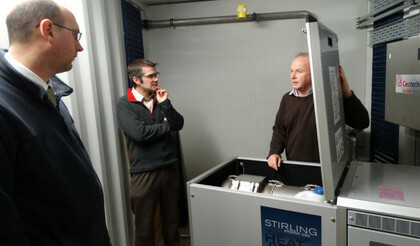 The contract, for the installation of two Stirling engines, is one of 5 similar projects designed to demonstrate and prove innovative techniques for the investigation, utilisation and capture of methane in landfill gas from closed and historic landfills. ACUMEN (Assessing, Capturing and Utilising Methane from Expired and Non-operational landfills) is a partnership of companies within the waste industry and government agencies. 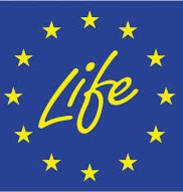 It is led by the Environment Agency (EA) and is supported by the European Union (EU) LIFE+ programme. 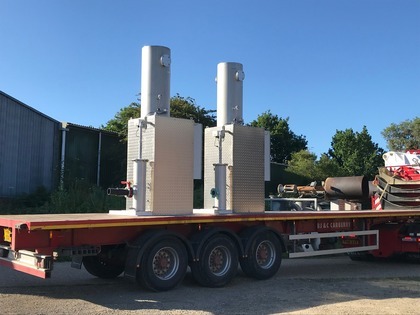 This first project is for two On-Grid Stirling engines, housed in a 20ft container and installed on a Norfolk County Council closed landfill site near Kings Lynn. A Stirling engine requires only 12m3/hr. 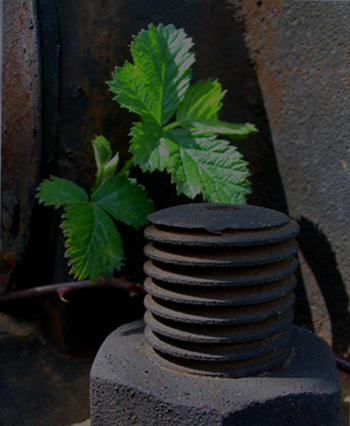 of landfill gas with <18% CH4 content to generate electricity and heat. 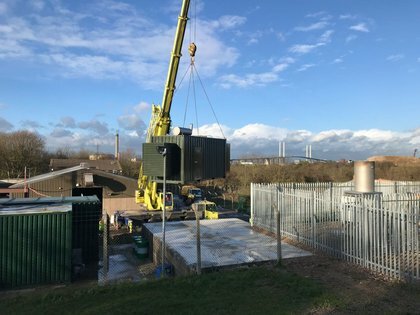 This will be the first project in the UK where a Stirling engine has been used on landfill gas. The two engines will generate enough power to supply the on-site needs and surplus energy will be exported to the national grid. 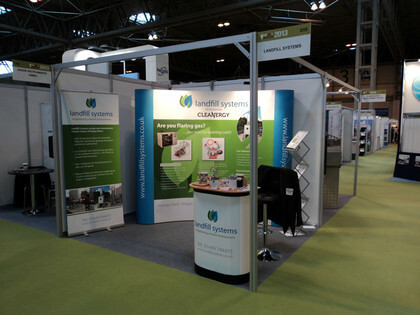 Landfill Systems has generated a number of new leads following a successful appearance at the ADBA exhibition in the NEC, Birmingham earlier this month. 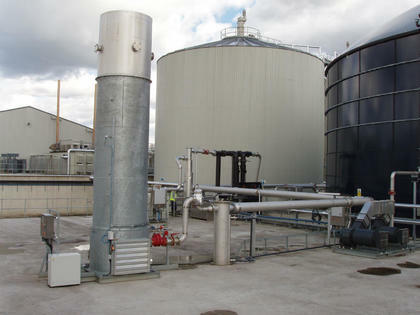 The exhibition is the biggest trade show in the Anaerobic Digestion and Biogas industry, which is now in its fourth year. The combined engineering know-how on offer at the stand attracted a large volume of visitors who were keen to hear the latest developments in the Biogas Flare and renewable heat/power market, the Cleanergy C9G Stirling Engine proving to be of particular interest due to its unique design features which make it the most robust and reliable product of its type worldwide. Many thanks to all customers, new and existing, that visited our stand at the AD Biogas 2013, we look forward to a successful working relationship in the future. The AD & Biogas 2013 is the Anaerobic Digestion and Biogas Association’s (ADBA) fourth annual trade show and conference and is the only show in the UK dedicated exclusively to AD and biogas. Landfill Systems’ attendance at the ADBA exhibition is an excellent opportunity to show the full range of equipment that the company can offer businesses in the anaerobic digestion sector. Come and visit us on stand D55 on the 3rd & 4th July 2013 at the Birmingham NEC. Sustainability Live attracts environmentally conscious businesses from all walks of life. 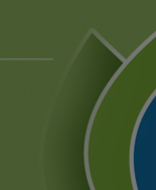 The show is the UK leading event for sustainable business management, providing a comprehensive showcase of the latest products and services across the energy, water and energy from waste sectors. This year we were joined by Cleanergy’s own Niclas Davidsson who assisted Landfill Systems in showcasing the C9G Stirling engine for the first time. It gave Landfill Systems and Cleanergy the opportunity to build upon our existing relationships and reaffirm our recent distributorship agreement. 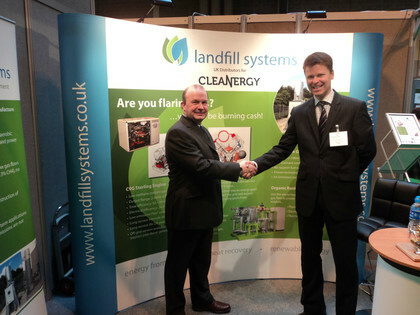 The first year of exhibiting at the EfW (Energy from Waste) at Sustainability Live 2013 for Landfill Systems proved to be a resounding success. The event was used to unveil a new stand and to showcase the newest product, Cleanergy's C9G, a CHP (combined heat and power) engine based on the Stirling cycle, that uses fuels such as biogas, landfill gas and natural gas to produce electrical power and heat energy. As well as the range of biogas flares, gas booster packages, electrical systems, pipework systems and maintenance services offered. 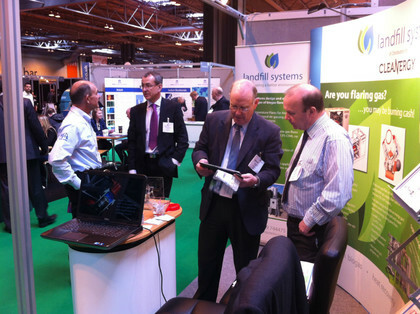 The EfW at Sustainabilty Live 2013 was a great show for Landfill Systems with very positive feedback from visitors to our stand and the establishment of many new leads with organisations across a variety of market sectors. 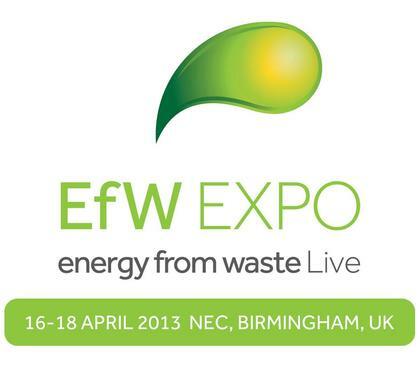 Due to the high levels of interest shown at the AD & Biogas and EBEC exhibitions in 2012, Landfill Systems are pleased to announce their attendance at the EfW (Energy from Waste) at Sustainability Live from the 16th to 18th of April 2013. EfW at Sustainability Live is the UK's only exhibition dedicated to showcasing energy from waste suppliers and covers the whole spectrum of advanced thermal treatment processes including pyrolosis, gasification, autoclaving, anaerobic digestion, MBT and incineration with combined heat and power. 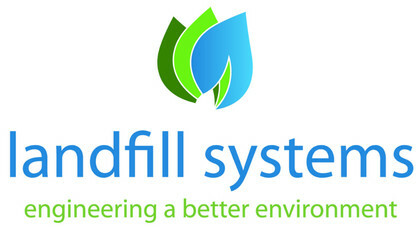 Visit Landfill Systems on stand P18 at Sustainability Live 2013, Birmingham NEC 16th-18th April where we will be showcasing the services and capabilites the company has to offer. 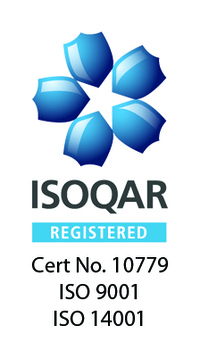 Landfill Systems are pleased to announce that we have been ISO9001 and ISO14001 accredited! Landfill Systems have been appointed as distributors of Cleanergy's C9G Stirling Engine, for the United Kingdom and Ireland. 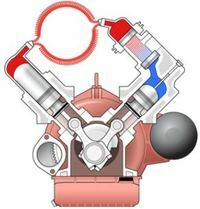 The C9G is a CHP (combined heat and power) engine based on the Stirling cycle, using fuels such as biogas, landfill gas and natural gas to produce electrical power and heat energy. 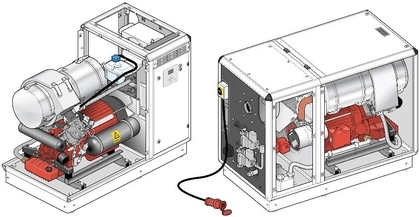 It can be installed on almost any landfill site currently operating a conventional gas flare. By using the full CHP capability (power and heat), the C9G can be used to heat offices, recycling halls and leachate treatment systems, etc. Manufactured in Sweden, the C9G Engine is a highly reliable, robust design, which has accumulated many thousands of operating hours. Long service intervals and a long service life make the C9G and exciting investment.